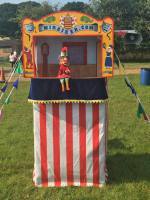 The Puppet Maker launches Thursday 15th September at 12.15pm. Welcome to The Puppet Maker. Prices are listed at the bottom of each page but you can find a complete price list if you click here.